ArtiCAD Pan 360 takes your ArtiCAD-generated designs and produces a stunning 360 degree presentation that you can show to clients on your local computer or you can send clients an online link to their own presentation that can be viewed on any device including tablet devices, such as the Apple iPad™. The viewer operates very differently on a tablet device. You can move the tablet itself to pan around your room and zoom in and out using your fingers on screen – great when presenting your design in a customer’s home! Take a look at the demo presentations below. For more details and to purchase ArtiCAD Pan 360, please call your local sales office. 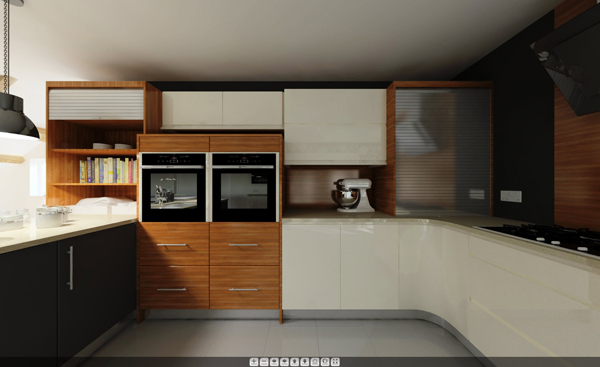 On PC – to use the 360 Panoramic Viewer demos on a PC, place your mouse over the image and holding down the left mouse button move side to side, up and down on the image to move around the room. To zoom in and out within the room hover your mouse over the image and scroll up and down. Alternatively you can use the control panel at the bottom of the image.